Richmond - The city of Richmond is converting a huge area stretching from City Hall to Minorou Park into a giant outdoor mall called the O Zone. The area is only a few blocks from the new Canada Line Brighouse Station and will feature the ‘Ice Gate’ art installation, an outdoor ice rink with disco-style light displays and a main stage hosting both multicultural and Canadian acts. The Canadian line up includes Our Lady Peace, Hawksley Workman, Marianas Trench, Bedouin Soundclash, Wintersleep and Tokyo Police Club. Also in the zone will be HOLLAND HEINEKEN HOUSE serving as both a venue for Dutch celebrations as well as a nightclub that will hold up to 4,000. The House will open on February 11th. Entry to the O Zone is free but those with Dutch passports will get moved to the front of the line at Heineken House. Granville Island - Canada’s four Atlantic Provinces, New Brunswick, Nova Scotia, Prince Edward Island, and Newfoundland and Labrador along with the Atlantic Canada Opportunities Agency, will host ATLANTIC CANADA HOUSE starting on February 13th. The pavilion area will include Granville Island Stage, the Revue Stage and the Backstage Lounge. Atlantic Canadian artists will be featured nightly, and daily performances on the Revue Stage will celebrate the region and welcome guests to the Atlantic Canadian way of life. Visitors from around the world, international media, as well as residents of Vancouver, will be invited to taste Atlantic Canada’s culinary delights, discover the region’s culture and spirit, and share in Atlantic Canadian hospitality. Admission is free. PLACE DE LA FRANCOPHONE will bring the ‘French Quarter’ to Granville Island. Activities will include live performances from both Canadian and international performers, a sports pub, a farmer’s market, tourism circuits and trails and exhibits of works by francophone artists. The atmosphere will be festive and all of the performances presented will be part of VANOC’s Cultural Olympiad. The HOUSE OF SWITZERLAND will be located in Bridges restaurant and will open on February 5th. The house will act as a social hub for the Swiss Olympic team, its sponsors, and partners, receptions, media conferences, client events, and medal celebrations. It is one of only a few international guest centers at the Olympic Games open to the public, and is intended for a wide local and international audience. Also on Granville Island…Coastal Jazz will be presenting CLUB 2010 at Performance Works giving visitors an opportunity to catch some of the very finest national and international jazz and world music practitioners for only $10…The Emily Carr Courtyard will play host to THE CANDAHAR, a meticulously detailed recreation of an Irish public house, based on the interior of the now defunct Blackthorn Bar in Belfast. Part sculpture, part theatrical stage, The Canadhar is an artwork that is also a functioning bar, open to the public and staffed, in collaboration with two Belfast bartenders who act as unscripted performers. Science World to become Sochi World - Russia House, aka SOCHI WORLD, will be located in Science World from February 8th to 28th and from March 12th to 21st. The pavilion will only be open to the public from noon to 5pm daily and will require a day pass for entry so expect delays. In accordance with the regulations laid down by the International Olympic Committee, the Sochi 2014 Organizing Committee is obliged to present its vision for the Sochi 2014 Games, as well as to showcase the city and country which, in four years time, will be the next host. The setting will bring together athletes, fans, officials and journalists from around the world and will provide visitors with a taste of the unique atmosphere and innovations of Russia’s first Winter Games four years ahead of its Opening Ceremony. The Vancouver Green House - One of the less exciting houses to visit is VANCOUVER HOUSE that will be located in LiveCity Yaletown at David Lam Park which is designed to tell the story of Vancouver’s new business brand ‘Vancouver Green Capital’. Visitors will learn the meaning of Vancouver Green Capital and meet the people from all walks of life and all areas of business who bring it to life. 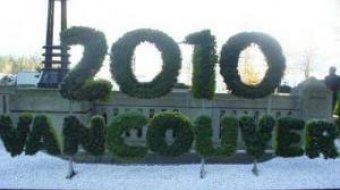 Displays will show that Vancouver Green Capital is a logical extension of Vancouver’s past successes, a meaningful and authentic position for the city given both its geographic nature and its human nature.